Connecting your iPad to the Internet is as easy as joining an available Wi-Fi network and entering your credentials if required. As one of the top tablets on the market today, the Apple iPad is a powerful tool that can be used for web browsing, video streaming, social networking, online gaming and so much more. These instructions are generally applicable to all current models of the Apple iPad mini, iPad Air and iPad Pro, as well as other iOS devices like the iPhone and iPod touch. Enter your lock screen code if required. Swipe through your home screens until you see Settings. Select Wi-Fi from the resulting list. Enable Wi-Fi by tapping on the radio button to the right. It should move the circle to the right and show as green. 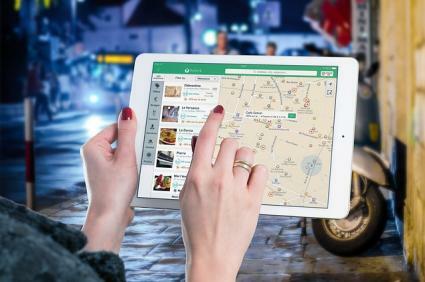 Wait while the iPad searches for Wi-Fi networks in the area. Tap on the name of the network you want to use. After tapping on the network name, you will be prompted to enter this password. If it is a public Wi-Fi network, like at a coffee shop or at a hotel, you may need to proceed to a splash page to complete your connection. This is sometimes called a captive Wi-Fi network. On the resulting page, enter your credentials, sign into your account, or tap to accept the terms and conditions. Each captive network can be a little different in how it is presented. Once you are connected to the network, a blue checkmark symbol will appear next to the network name and the Wi-Fi symbol will appear at the top-left of the screen. While most networks broadcast their name and are discoverable using the search function described above, some networks may be hidden by the administrator for security or privacy reasons. This might be the case in someone's home or office, but is very unlikely with a more public access point like at a coffee shop or library. If the network is hidden, you will need to know the exact network name in order to connect to it. If you do not see the network you want to connect to, you may want to ask the network administrator if the Wi-Fi network is hidden. Follow steps 1 through 7 above. Tap on Other at the bottom of the list of networks. 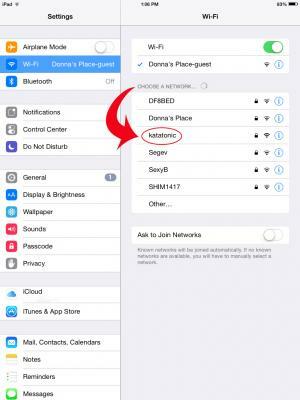 Enter the exact name of the network (also known as its SSID or Service Set Identifier). Select the security type used by this network, if any: WEP, WPA, or WPA2. Tap Other Network near the top to return to the previous screen. Tap on the Join button when done. As before, the blue checkmark symbol will appear next to the network name and the Wi-Fi symbol will appear near the top of the screen once you have successfully joined the Wi-Fi network. If you are having trouble connecting to Wi-Fi with your iPad, try some of these solutions to common problems. Double check if you have caps lock enabled on your keyboard. Network names and passwords may be case-sensitive, so "abc123" is not the same as "ABC123." If a splash page doesn't launch automatically for a captive network (step #10), first try to connect to the network and then open the Safari web browser manually. Try going to any website by typing in its url and you should be redirected to the splash page. If you are having trouble maintaining a stable connection with a network, check the signal strength. 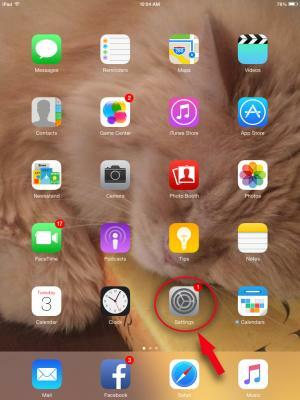 If you are too far away from the access point, your iPad may be intermittently dropping or losing the connection. Be patient. Sometimes it can take a few seconds for a network to show up in the search results or it may take a few moments for your connection to be authenticated. If you are sure that you have entered the right network name and password, but you still can't connect, it's possible that the MAC (media access control) address on your iPad has been blacklisted by the network access point for whatever reason. Check with the network administrator for help. 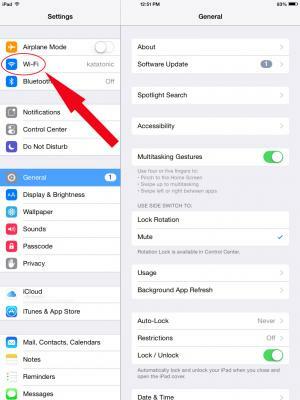 After you've connected your iPad to a Wi-Fi network for the first time, the information related to that network is saved and the device can re-connect to it again automatically. You won't usually need to enter your password again. In the case of certain captive networks, however, you may need to re-enter your credentials or re-accept the terms. Once you're online, a world of information and entertainment is literally a swipe away.